The majority of hypertensive patients preparing for surgery will continue to take their blood pressure medication on the day of the procedure and throughout their hospital stay, according to information from the American Association of Orthopaedic Surgeons (AAOS). 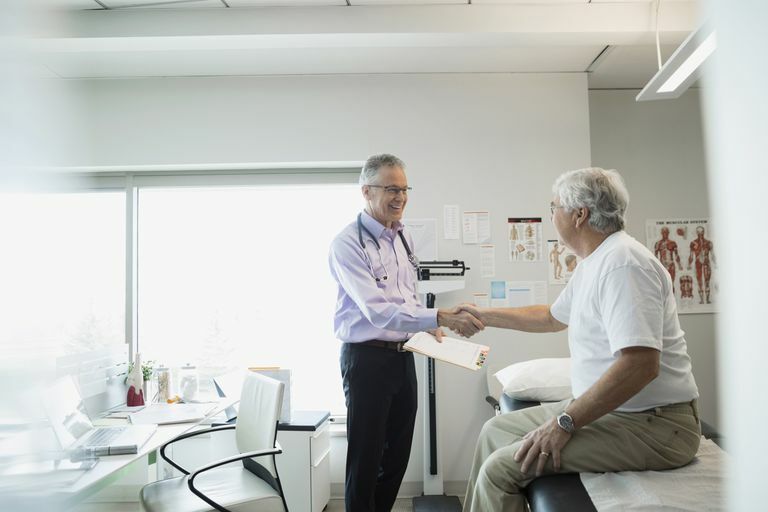 In fact, the AAOS says your doctor will probably check your blood pressure a few days before your scheduled surgery so she can adjust your dosage if your reading is lower or higher than a previous one. That said, you should avoid aspirin and medication containing aspirin seven days before your surgery, according to information from Milton S. Hershey Medical Center, and in some cases, diuretics should not be taken the day of surgery. Your anesthesiologist or surgeon should advise you about which medications to avoid on the morning of surgery. If you have any questions or concerns, bring them to the attention of your anesthesiologist, surgeon, or nurse as soon as possible. In many cases, the anesthesiologist will call you the day before the surgery, and you can ask any questions you have during this phone call. The surgery might be postponed if your blood pressure is not under control. Since most medicines dissolve and absorb quickly, normal prescription medications that can be taken with water are usually allowed on the day of surgery. However, any medications that must be taken with food or milk should not be taken the morning of surgery. Additionally, some vitamin supplements and all “bulk” medicines, such as fiber pills or Metamucil, should also be avoided the day of surgery. Your anesthesiologist may allow certain exceptions to these general rules. What you should stop or continue taking will depend on your health, the medication and the type of surgery, so you will need to speak with your doctors about your specific case. If you forgot to ask and your doctors didn't mention it in the conversations leading up to surgery, contact your healthcare provider before you take prescription or over the counter medications. As a last resort, you can also bring them with you to the hospital on the day of your surgery and ask once you are there. The most common way to express the “12-hour rule” is that you shouldn’t eat or drink anything after midnight on the day before your surgery. Not eating minimizes the risks associated with inserting breathing tubes during surgery. For all surgeries that require the patient to be asleep, a breathing tube is placed to help protect the airway during the surgery. Because this can stimulate the gag reflex, it is important that the stomach is empty before inserting the tube. Otherwise, material from the stomach could enter the lungs and lead to potentially dangerous complications. Sips of water are usually OK because water is quickly absorbed by the stomach. American Association of Orthopaedic Surgeons: Preparing for Surgery: Medication Safety Checklist (2014). Milton S. Hershey Medical Center: One Week Before Surgery. Can You Stop Taking Your Blood Pressure Medication?